Kim MacGregor is Taking Action! I hope this story and the video inspire you, put a smile on your face, and remind you of the amazing women in your own life who make your world a better place. This site gives you the chance to say “I believe she’s amazing” to all the moms, sisters, aunts, grandmas, teachers, daughters, wives and girlfriends who matter and who make you believe in yourself! 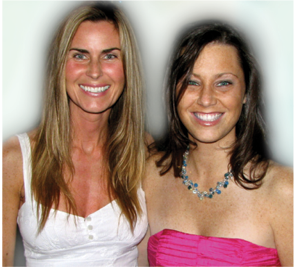 Erika was the national spokesperson for the Look Good Feel Better non-profit organization that helps women undergoing cancer treatment to feel radiant and beautiful, even through a difficult time in their lives. In honor of Erika, I have chosento help support Look Good Feel Better. ” Hi Catherine-how are you, my friend? Remember the grassroots movement I was working on in honor of AMAZING WOMEN…here it is-please see the video attached and pass it along. It is our goal to unite 1,000,000 women around the world through this uplifting tribute. Kim MacGregor is a leader in the realm of personal transformation, self-improvement, marketing to women and cause marketing. 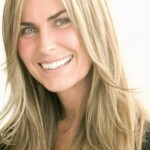 She has worked in marketing, sales and communications for the past fifteen years creating marketing strategies and promotional campaigns with Fortune 500 companies, including Walmart, McDonald’s, Hasbro, Disney, Revlon, Canadian Cystic Fibrosis Foundation, Look Good Feel Better, Colon Cancer Canada and Novopharm among others. Working with Walmart as a National Marketing Manager during their transition to Canada, Kim gained credibility internally as the “Go to Person” for special National and International projects of all sizes, due to her high level of creativity, quick turnaround and her ability to manage multiple projects simultaneously. She earned a reputation for being a “maverick” with clients and vendors as someone who could spot a good idea or new product and help vendors sell their ideas internally. She was hired away by Entertainment giant Astral Media where she discovered her natural ability to sell, responsible for helping to resurrect the Barney license by growing business and sales by 45% annually. Then Kim had her first child, a beautiful baby girl who was whisked away at birth, hooked up to tubes, placed in an incubator and rushed to Sick Kids Hospital. She underwent emergency surgery at one-day old and was diagnosed with the genetic, incurable condition cystic fibrosis, at two weeks. Kim knew in that moment, the direction of her life would be forever changed. She decided to pursue her long time dream of writing, using her books to raise awareness and money to help find a cure for cystic fibrosis. She secured a special message in her books by super star Celine Dion, the celebrity patron for the Canadian Cystic Fibrosis Foundation, and sold 7,500 units of her first book into a major national retailer. She has served as a Spokesperson for the Canadian Cystic Fibrosis Foundation for the past ten years, along with her young daughter, who became an inspirational speaker, artist and fundraiser at the age of eight. Their family has raised over $165,000 for CF to date. 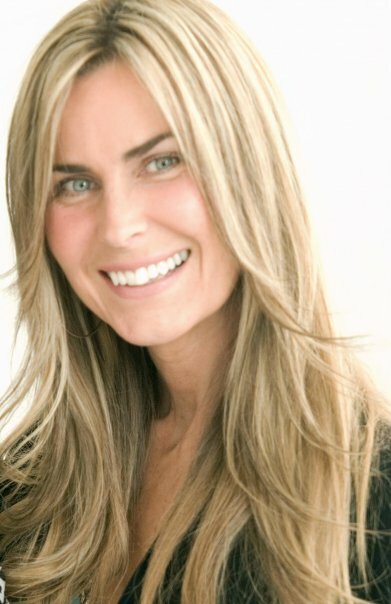 Kim has been studying the fields of human physiology, brain science, energy healing, self-development and self-esteem for over two decades, applying what she has learned to experience countless breakthroughs and mircales in her life and the lives of her loved ones. 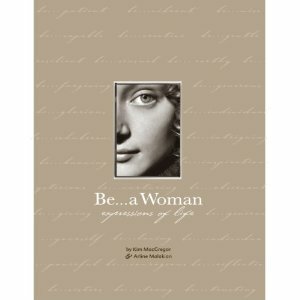 In 2008, Kim co-created and wrote the International Award Winning, inspirational book, Be a Woman: expressions of life. She created the national Be a Woman Award and co-hosted two powerful awards ceremonies. Today she is the leader of the grassroots movement “I Believe She’s Amazing” an empowering global campaign she launched to celebrate, unite and honor amazing girls and women around the world, in memory of her best friend Erika Heller. In just six months her campaign had amassed a loyal following of over 100,000 people around the world, including the likes of Mariel Hemingway, Dr. Christian Northrup, Cheryl Richardson and The Dove Campaign for Real Beauty Global Ambassador-Jess Weiner. Kim has been featured in national magazines, newspapers, and on national and local TV, Radio shows, and blogs across North America. She earned her Bachelors degree in Business Administration-studying Marketing and Communications, paying her way through university with money earned from modeling and acting. Kim has appeared in television, film, commercials and print work in the U.S., Canadian and European markets from the age of five. She has gone from model to role model, using her unique perspective in the media, as a self esteem expert, empowering young girls and women to believe in themselves, their voice and the power they hold to make a difference in the world. With over a decade of work in female-centric marketing, Kim understands what this powerful consumer needs, wants and what makes women buy. She consults with corporations looking to reach the female market, and helps companies and non-profits create winning cause marketing strategies and campaigns. Kim lives in Toronto, Canada with her husband and three amazing little girls, including a set of identical twins, who inspire her everyday to make the world a better place. I lost my Mum to breast cancer almost 21 years ago. Although we had our differences, Catherine Dearie truly was an amazing woman. As a single mother of many years, raising my young sons alone (without any emotional or financial support from my husband) was a real challenge and I often missed my mother and felt angry at not having her around to help and guide me. She died just 3 weeks after my youngest son was born by C Section… it was a challenging time for me. Throughout my life, when times were really tough and I felt I couldn’t go on… I always heard my Mum’s mantra which she instilled in us as children…. I AM…. I CAN… I WILL! I’m sending this video to all the wonderful women in my life who have supported me over the years. Thank you for giving me the opportunity to acknowledge them all.